Comparing The Volkswagen Passat & The Volkswagen Jetta: Which Fits Your Lifestyle? Take one look at the 2019 Volkswagen Passat mid-size sedan and the 2019 Volkswagen Jetta compact car. You'll instantly see the trademark Volkswagen Style. The elegant swooping curves and stunning symmetry of these bodies show that they clearly come from the same family. While they may speak the same design language, they do speak in different accents. The 2019 Volkswagen Passat, for example, is noticeably larger than the 2019 Jetta. They also have several different exterior features. Both Vehicles have standard rear defrost, which can come in handy on those rainy Pompano Beach summer days. The Volkswagen Passat also has a moonroof that will allow you to let in fresh air and sunlight while still preserving the privacy of the passengers. The Volkswagen Passat even has a rear spoiler that adds a sporty look and improves aerodynamics for enhanced handling. Visit the Vista Volkswagen dealership in Pompano Beach and take a look at the stunning style of the Volkswagen Passat and the Volkswagen Jetta. Test-drive both and see which one you fall in love with. Volkswagen strives to make cars that are fun for drivers to take out, even if they are simply going on an errand or their everyday commute. The new Volkswagen Passat and the new Volkswagen Jetta have different performance features and characteristics, but both provide a joyous driving experience that is unmatched in their respective classes. The Volkswagen Passat includes a standard 2.0L turbocharged 4-cylinder engine kicking out 174 horsepower. The 2019 Volkswagen Jetta is powered by 1.4L turbocharged 4-cylinder engine producing a spirited 147 horsepower. The standard transmission for the Volkswagen Passat is a 6-speed automatic. Meanwhile, the VW Jetta has a standard manual transmission. However, the optional 8-speed automatic optional transmission would likely be equipped on most Volkswagen Jetta models. Both vehicles have standard front-wheel drive, which is both stable and enhances fuel efficiency for maximum practicality. Take the Volkswagen Passat and the Volkswagen Jetta out for a spin at Vista Volkswagen Pompano Beach today. Our finance associates can present your car lease and loan options to ensure you can drive away in your chosen vehicle. Get more info on the safety features of the Volkswagen Passat and the Volkswagen Jetta. Drop by the Vista Volkswagen Pompano Beach showroom today. Volkswagen has been synonymous with luxury for many years now. Ever since the brand's introduction to the US market decades ago, Volkswagen vehicles have set a new standard for luxury in family sedans and other vehicle classes. The Volkswagen Passat and the Volkswagen Jetta are 2 shining examples of this excellence in luxury. Both of these vehicles have interiors that feature a classy and elegant design constructed out of premium materials. The 2019 Passat, as it is bigger and a bit more expensive, has a few more of the bells and whistles. For example, it has a keyless start functionality. It also offers a leather-wrapped steering wheel and heated front seats. As previously mentioned, the VW Passat is larger than the VW Jetta. This results in greater cargo volume and passenger volume, which may benefit growing families. 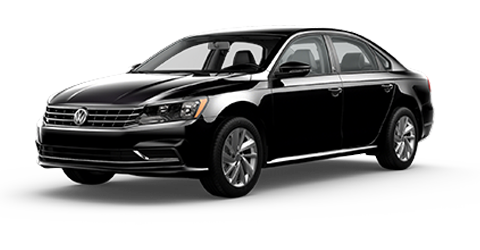 Come into the Vista Volkswagen dealer and experience the luxury of the Volkswagen Passat and the Volkswagen Jetta. Another area that the 2019 Volkswagen Passat and the 2019 Volkswagen Jetta excel in is technology. Both of these fine vehicles offer multiple practical tech features that drivers will actually use on an everyday basis. The Volkswagen Jetta and the Volkswagen Passat each offer a standard auxiliary jack, which makes it easy to connect your device to the car with a stable and secure wired connection. These vehicles also offer several premium tech features. For example, the Volkswagen Passat offers the HD Radio™ technology. 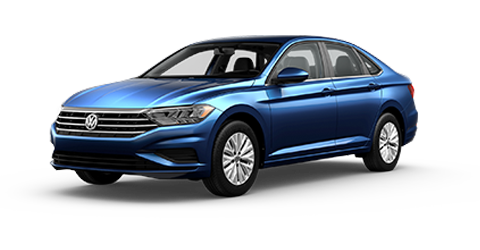 Additionally, the Volkswagen Passat offers SiriusXM® satellite radio, which gives drivers access to a 24/7 stream of content that includes music, comedy, sports, music, talk and more. Drivers near Fort Lauderdale, Coconut Creek and elsewhere in the Pompano Beach area can try the fun tech features in the Volkswagen Passat and the Volkswagen Jetta at Vista Volkswagen Pompano Beach today.